Or one of the many stories of Shen Jia Sheng who at the age of 24, ran his first 100k earlier last year, and went on to win this race, completely dominating a field of international professional athletes. Rarely do you find stories like: Some guy running his fourth 100k finally has his routine dialed in enough that he doesn’t screw it up. Unfortunately for me, that headline probably won’t get many shares on Facebook, but unfortunately for readers, you’re not going to learn much from miraculous stories of prodigies who just winged it and somehow destroyed some of the toughest runners on the planet. 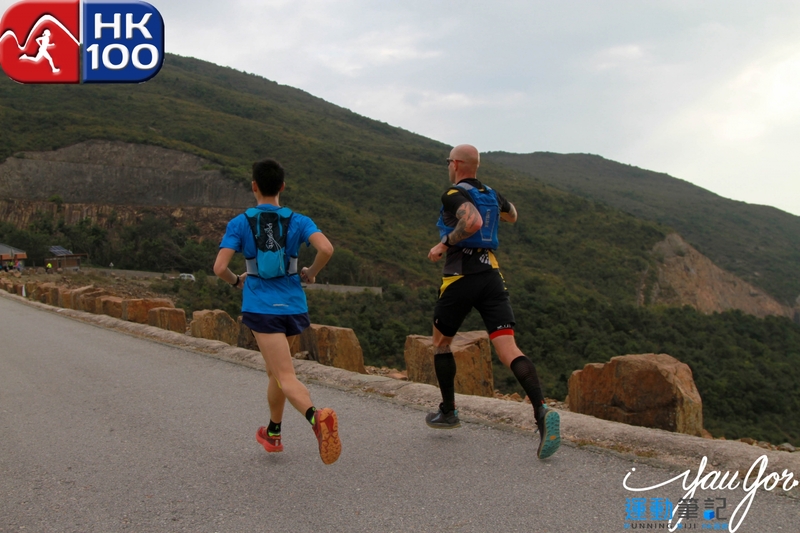 In this edition of Running The World, I talk about the mistakes I’ve made in the past, and the things I’ve learned to do differently that I think allowed me to cross the finish line of Hong Kong 100 well beyond my goals. In June, I was trying to find a Western States Qualifier for 2019, and my choices were down to either Translantau (also in Hong Kong) or Hong Kong 100. The difference-maker was that HK100 offered an elite program. I knew that the pros that come out for this race, usually doing so again and again. Some on the elite panel this year were logging their 6th consecutive appearance. There must be a reason for that. Later, I found out that the elite field was 150 runners deep. I scrolled down the list to see where I stood amongst the pros. And scrolled. And clicked to the next page. And scrolled. And clicked to the next page. When I finally found myself, I was sitting there at a paltry 115. One hundred and fourteen runners at this event were considered to be faster than me, and that just includes those who bypassed the lottery system by registering as an elite. Okay, this one is going to be a wash. But that didn’t stop my friends from chiming in. Taking the helm was Xavier, with a bet posted onto my facebook wall that if I am able to break into the front page of the results (meaning top 50) he would buy me a six-pack of beer. Others obtruded: Dave with a bottle of New Zealand white zinfandel, Shawn with a six-pack, Peter, Tom… even my own mother. I thought this was all in vain, as the chances of me even breaking 100 were slim. But… no harm in trying. So if we’re going to do this, we’re going to do it right. I peaked three weeks before the race, feeling exhausted from Formosa Trail. After a very low “high” of 118k for the week of mostly trails that resembled Hong Kong (concrete, large volcanic rocks and stairs) I turned to VO2 max and lactate threshold workouts to tune down to the race. I didn’t want to overdo it and injure myself. Integrating intervals to runs and lowering the mileage, I was entering the race feeling zippy but undertrained. There is absolutely no harm in feeling out of shape right before a race. Before Vietnam Mountain Marathon, there was a conference with many-time top-10 UTMB finisher where he talked about tapering like driving a race car around a single turn. Sure you could save a few seconds by cranking it, but the chances of wiping out are too great to be worth the extra seconds. Brian: Don’t go hard at the beginning, but stay ahead of the pack going into the patch of single-track trail or it gets congested. This was good advice, but it was impossible to follow, as when the air horn blew for the elite starting pen, I was immediately engulfed by runners, and sunk to the back of the pack, despite running a 4:30 pace. Now, I’m going to say that for every 1 thing wrong with this race, 500 things were magically and unequivocally right. But this one thing really bothered me: In the elite pen should have been 150 runners, all of whom got their spots by application. Instead, I was cast away in a mob of runners who broke into the elite pen and tried to start in front of us, literally pushing me out of the way. Note their bibs all start with 1000, meaning they should be in the group behind. When I finally got to the first climb, runners were stopped and walking, sometimes in a complete standstill queueing to take their turn walking up a section. One of which even held his arm out to block my way to prevent me from being able to go around him. I thought of Jeff, Brian, and Henri, friends of mine that had escaped the chaos and were probably making off ahead at a nice jogging pace. I checked the live chip timing to see that going into the turn, I was 178th. Good luck breaking 50 now. When it finally cleared up, we got to a wide road where we could finally run, which brings me to the next tip. That’s a little wordy. I’ll explain. Before starting, I studied the elevation profile and aid stations to develop a plan composed of digestible chunks. I treated each chunk like its own separate race, but always in the back of my mind, I remembered that saving 5 minutes here might cost me 20 at the end. When we train, we are comfortable dehydrating ourselves. It’s completely normal to finish your training run and chug water for the next few hours, then recover and do it again. What we don’t practice is what happens if you need to do another 60k on top of the 40k you just logged. Others may disagree, but the worst case scenario of drinking too much water is usually just peeing, and around 25k in, that was something I noticed I hadn’t done in a while. On the popular ultra-running website fellrnr.com, there is a page completely devoted to fixing problems in ultra-marathons. On that page, the phrase “over-hydration kills” is vaguely used (but never addressed) three times, while he lists the possible effects of dehydration to cause nausea, vomiting, headaches, and fatigue. An article on Runner’s World talks about how dehydration also reduces your body’s ability to maintain your core temperature because less blood is available to be sent to your skin, and your sweat rate decreases. Pete Pfitzinger’s bible of running: Advanced Marathoning claims that dehydration is the largest cause of fatigue in runners and the most likely culprit for you to have a crappy day. There’s a reason why the lottery for this race is so hard to win. And the same reason why pros keep coming back year after year. It’s a freaking ball. Each aid station is manned with excited scout troops blasting music. Colorful lights line much of the trail. Plus, it’s highly competitive and in the world’s spotlight. So it’s only natural to get excited. But don’t let that dictate your pace. There are two big energy systems that need to be working in sync: catabolic (expending) and anabolic (building.) We use anabolic systems that require energy to create complex proteins, digestive enzymes, cell-to-cell communication, glycogen storage… basically everything we need to keep ourselves alive. And then there are the catabolic systems that are then breaking these things down to provide us with the kinetic energy we need to kick the ground and move faster. The problem is, the hotter we are burning exothermically, the less we are sustaining endothermically. To put it another way, it’s like ditching work to go to the mall and spend money. Eventually, it’s going to catch up to you and you’re going to be in debt. When the crowd is cheering and shaking their bells and you see that runner ahead of you, your eyes will dilate, and your energy systems will shift its energy to fight-or-flight response. You can chase them, but your batteries only last as long as the glycogen in your muscles and liver, which is great for a 5k, a half marathon, or even to get you through the last section of a full marathon. Once these batteries are depleted, you just sunk yourself into a hole where you need to burn more energy in order to fix the damage you did, as well as keep up with that idiot in the green shirt who still lingers ahead. All the while, another battle is going on. You versus your core temperature. At the race, the humidity climbed past 80% on the flat sections along the beaches with many sections completely exposed to sunlight. When the humidity is this high, water cannot evaporate off your sloppy wet race shirt. Instead of providing you with that fresh cool feeling of water turning to water vapor, you’re left insulated by the water sitting on your skin. The cycle continues and you produce more sweat, that sweat takes energy to produce, and on it goes. Okay, so lots of bad things are going on here. At this point, your body can just choose to give up and die or devote resources from other places. The first organ it probably wants to shut down is your stomach. All that pesky digesting of energy, producing of enzymes, secretion of liquids… for all your body knows you’re being chased by a sabretooth tiger. That energy bar you just ate can just sit there and wait its turn. While we’re at it, let’s just shrink your brain a little and stop many of the normal functions in that big energy-sucking lump in your head. At 42k I started feeling the lightheadedness, ringing ears and twisting in my stomach. My heart rate wouldn’t slow down. On the side of the trail sat a runner, eyes closed grimacing up into the sky. Later, I’d see Dylan Bowman, who claimed something he ate disagreed with him. Jeff chalked up his race to “not my day” when he dropped out at 50k. I passed the entire Adidas Terrex team visiting from the USA, all clumped together for support and side-stepped vomit. I had to get my heart rate and core temperature down, get more energy in my veins and get my organs functioning normally again if I wanted to complete the last 50k of this race. At the next aid station, I grabbed my cup out of my pack and filled it with soup, tossing crackers inside with ice cubes, slowly taking that in, followed by rice. I ate a Snickers bar, then filled another bowl of soup. I watched as 10, 15 runners came and went from the aid station, pushing me further out of the grasp of 50th place. All the while, I was pacing, standing next to the fan, and found a sink to rinse off in. I filled my cup again with rice and soup and decided to walk while I digested. Sitting is a sin. As soon as you pop those legs off the ground, lactic acid is going to join the party like those jocks who somehow found out you got a keg at your birthday. The vast majority of people who drop out of races could have finished had they not gotten comfortable. So I took my food to-go and kept my feet shuffling. At this point, we had a welcomed climb. I kept to a very steady slow jog, knowing it takes at least 15-20 minutes of low heart rate for what I put in my stomach to start doing its magic. Sure enough, it worked. I passed runner after runner, forgetting completely that I had ever been feeling low. The same guys who tried to save 30 seconds zipping through my aid station were mouth-open gasping at the climbs, or just sitting on the sidelines. Ultra-marathons are long. You’re probably going to encounter a lot of different stuff. Hong Kong is no different. There were perfectly flat roads, vertical climbs, boulder hopping, sandy beaches, and crushable trail. During the elite Q+A one of the women mentioned that she knows her strengths, and she also knows all the strengths of the other women at the panel. She said she will try to use her strengths to her advantage and not worry if she falls behind in the areas she knows she isn’t as good at. Me, I have big wheels. My legs are long proportionally and I can cover downhill technical terrain with little hassle. I can also climb vertically pretty well. Give me a gradual uphill road that is runnable, though and I’m done for. So when we got to 70k in the reservoir, I was with Marija from Bulgaria (9th place UTMB finisher this year) and she complimented me, saying I have “pretty feet on downhill.” I take advantage of my skill I developed running with Petr and Sasha in the jungle and didn’t try to chase her when she steadily ran up the concrete slope into the darkness, knowing I will see her again when the slope tilts downward again. As I set this, I saw a mob of runners appeared ahead making their way up an exposed climb. Gingerly I weaved through them and kept moving, still sucking down more sports drink and water mix. The elevation profile on this race is quite deceptive, or maybe I had built up the back-loaded climbing in my head too much. Scary, right? It was actually quite fantastic. I guess if you squish 100k into a box that small, the peaks will always look tall, but from 70-80k, it was slightly downhill rolling dirt trails with breathtaking views, all of which my feet seemed to navigate like a Tesla on autopilot. Still, runner after runner came and went, and I’m proud to say from that aid station until the finish, not a single person came from behind a passed me. A checkpoint 7, I sang I Will Survive with a chorus of volunteer kids. I knew what message to send him: “Hey Xavier: I AM THE LANDSLIDE.” Frightening another runner as I passed them and got into 47th. The rest of this race was just starshine and butterflies. Concrete paths, dirt trail, and swooping mountains as the sun set around us. Rain pattered down on our heads, then cleared to reveal the majesty of the Hong Kong skyline from atop the mountains. The buildings flashing brilliant colors while boats cruised across the harbor. It was a viewing platform coupled with runners high while I silently chased my headlamp along the edges of ridges bounding downwards toward my final destination. This was filmed on the day of the race. Give it a quick watch to understand what I mean. Into checkpoint 9, the last of the course, I made the same jokes that went over well with the scout troop as the previous aid stations, telling them to toss my bottles in the holders and screaming out “oh no but I’m so stinky! eeeew!” watching them panic when they were trying to fit them in. Requesting a horse when they asked if there’s anything else they can get me. I must have given over 100 high-fives and was sure to ask their troop number, telling them I was a scout too, and “that’s why I can run so fast now.” I always thanked the troop leaders, shouting “go troop 68 or 73” on my way out the station to envoke a quick cheer before heading back into the course. Camille Herron, the world record holder for the 50k, 100k, 100-mile, and 24-hour distances accounts smiling to her success. I think she’s right. It’s easier to keep up a run at 90k in while you’re singing to the monkeys to keep them from trying to steal your gels. Before I knew it, Tai Mo Shan (957m and the highest point on the course) was in my review mirror and I sent a voice message to Summer, telling her 5k to go, get ready for me. This is when you can disregard everything your body tells you, and just push. Strava says I closed out the last kilometer at 4:44 pace, even with the technical terrain. We were dropped onto a road and turned the corner to follow the colorful lighted path, onto a red carpet and under the glowing white arch of the finish line. I stopped short of the finish line tape then slowly stepped through at a time of 13:58. Twelve seconds behind 39th place, who I didn’t see until right at the finish, but still 40th overall and 30th man. Well within the bet we had. It was time to undo the damage I had done. Learning from Formosa Trail 104k, Summer immediately passed me a 2L bottle of water and I drank at least a third of it. We walked to the awards tent to receive my golden running man trophy, walked to the dropbag pickup, walked back to the food tent to get a big bowl of noodle soup, walked to the changing rooms to wipe down with a ShowerFree and get fresh clothes on, walked, walked, walked… When I finally did get off my feet, it was to visit the amazing dudes at Joint Dynamics for a massage. They poked and prodded. I winced and sobbed. Summer laughed and took pictures. Then another bowl of soup, more walking and finally we crashed down on the grass to have a beer and watch the runners come in. Many of the photos used were taken by Yao Lao. Great commentary and explanation / position on hydration. The vivid desciption of your journey gets me exciting along with you! And congrats on your epic acheivement: 40th!! Wow!!! Our beer bet well earned! Nice write up Cory. We talked briefly on the finish line. I had to hydrate even more than you: 1.5l between CP 5 and 6. I really don’t know how the local pro’s do it on one flask… I also really enjoyed passing the international pro contingent in the second half : vindication of the training and experience in the humidity – it wasn’t even very warm! Well done with the race and good luck with the next one! See you at WSER one day!